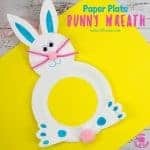 Are you looking for some Easter crafts and activities for the kids that don’t revolve around chocolates and candy? 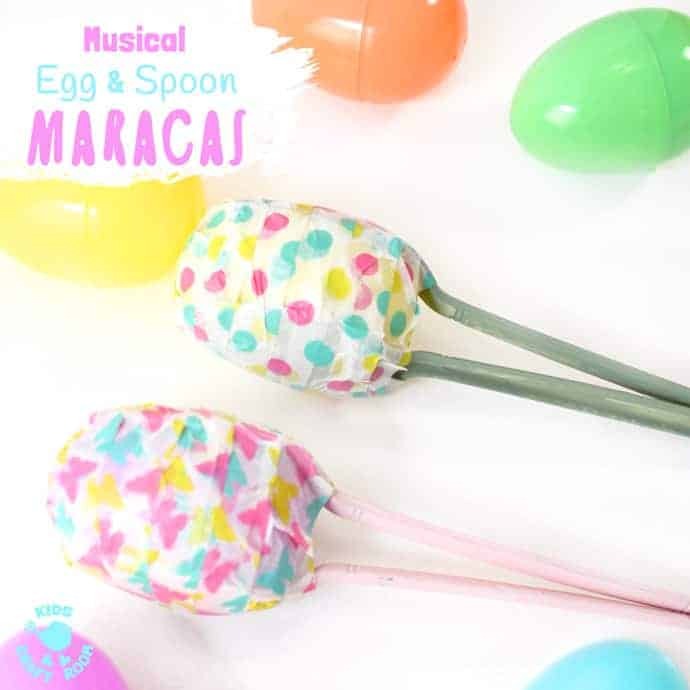 How about some fun and easy Easter Egg Maracas? 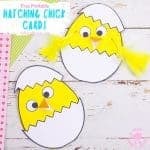 Your kids will have such a blast learning how to make egg shakers and making their own music! 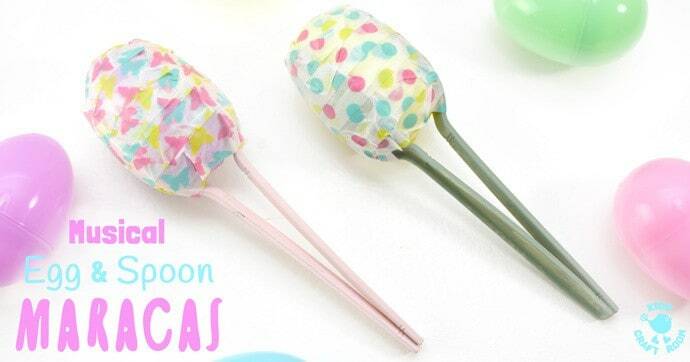 These simple DIY maracas are a fun way to reuse plastic Easter eggs. 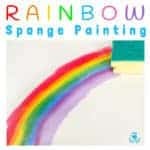 If your house is anything like ours we are awash with them at this time of year! 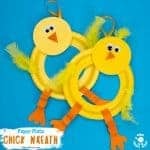 Kids big and small will enjoy this colourful maracas craft and it’s a great way to encourage listening skills, music and movement! 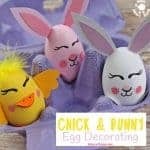 It’s very easy to make these egg shakers and we think it’s fun to craft them in pairs giving each set a different sound by varying their fillings. 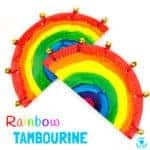 It gives the children a greater breadth of sound for music making and really encourages their listening skills. 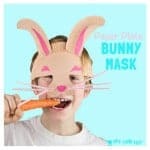 We like to play a blindfold game where we try to identify the matching pair by sound alone! 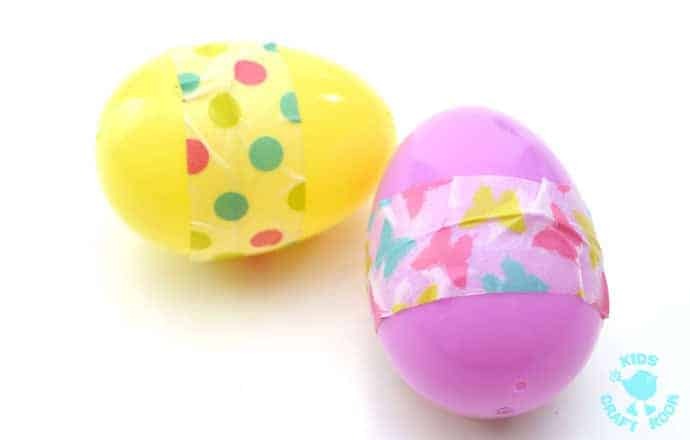 2 – The sound your homemade maracas make can be varied depending on what you put inside them. 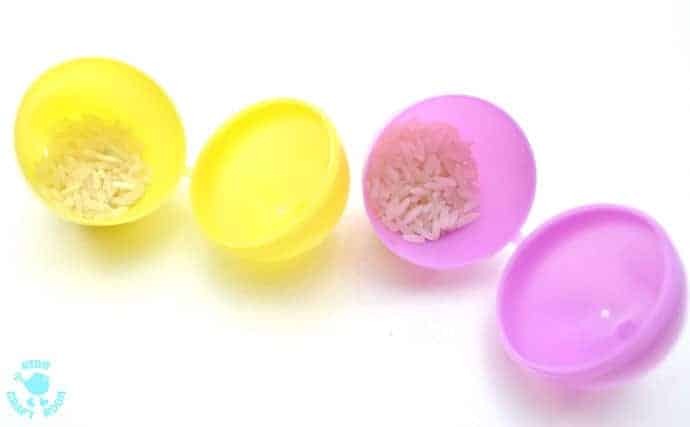 Open up a plastic egg and fill one half with rice, beans, beads or any other items you have on hand that will make noise when shaken. 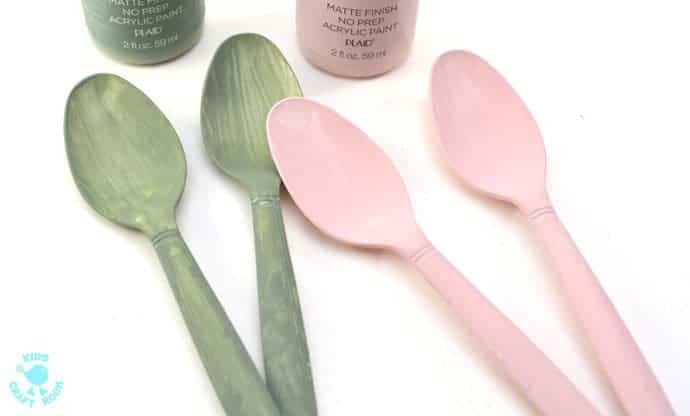 4 – You can use your egg shakers as they are but adding a spoon handle makes them easier to hold. 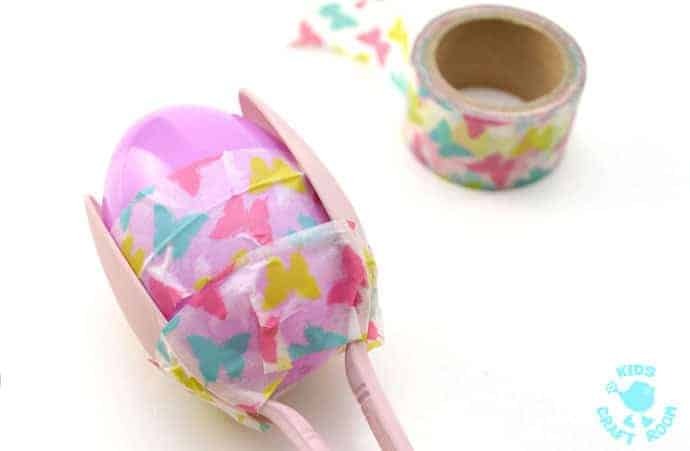 Sandwich a plastic Easter egg between two spoons and wrap washi tape around the outside to secure the three pieces together. 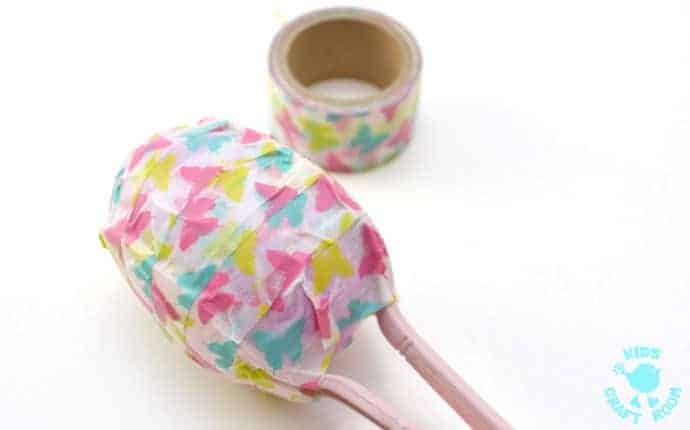 5 – Continue wrapping washi tape until the whole egg is covered and securely attached to the spoon handles. 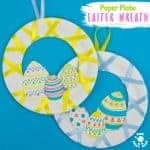 Washi tape comes in so many gorgeous colours and patterns it’s a really fun and easy way to make each easter egg maraca unique! It’s so fun to sake and play with your homemade maracas. 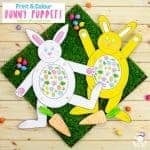 Perhaps your children will enjoy creating their own Easter and Spring songs too!